Over the past few months, we’ve touched on many possible uses for the WPS Office Presentation app. Whether you’re applying for a grant, preparing a student slideshow, or creating a professional PowerPoint for your colleagues , you can achieve your goals with this world-class tool. If you’ve been following our blog this month, you now know how to make an effective presentation. Such a presentation can help you communicate your points to a live audience, combining your skills as a speaker with exciting visuals that the Presentation app makes easy to create. But what if you want to reach an even wider audience than you can reach in person from your company’s conference room or even at an industry event? 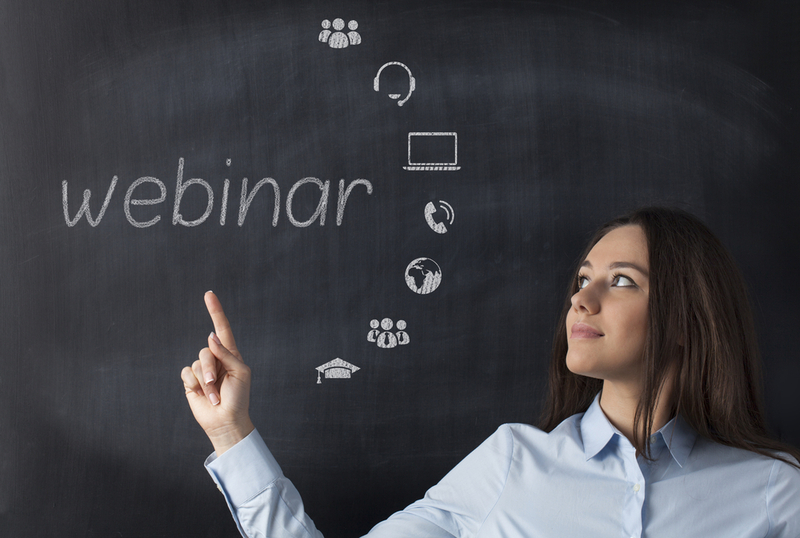 One option is to consider hosting a webinar, which stands for web-based seminar. A webinar allows you to deliver your presentation over the Internet using video conferencing software. During the webinar, you can interact virtually with your audience in real time. That means you can share the PowerPoint slides that you created via WPS Office’s Presentation application, and your audience can also communicate information back to you via the webinar. As the presenter, you also have the option to share audio and other files, documents, and apps with your participants. Once you’ve used your iPhone, iPad, or iPad Touch to create a powerful presentation with the WPS Office for iOS app, you might want to consider some additional features that can help you build an interactive webinar. Presentation for iOS is fully compatible with Microsoft PowerPoint, so you’ll have no trouble using the app to insert images into your slideshow and view notes in the presenter mode. You can even draw on slides with a unique ink feature and call on a touch-controlled laser pointer right from your mobile device. But when you’re ready to add some extra oomph and transition to a webinar, you might find the Record Presentation feature handy. This feature allows you to record your slideshow in PowerPoint 2016 for Mac, capturing the audio narration as well as the slide timing and even the pointer gestures using a microphone (or headset) and speakers. If you’re using MS PowerPoint with WPS Office for iOS app, you can prepare to record simply by opening your presentation file and then clicking on the “Slide Show” tab. You can use the Slide Sorter view if you prefer, which can make it easier to manage larger slideshows. After your recording is done, you can select from a range of recording options to tailor the recording to your webinar audience. Simply choose the “Set Up Slide Show” button and you’ll be presented with choices on Show Type, Show Options, and Advanced Slides. For example, you can choose whether you want your presentation to appear on the full screen or in a window, or you might decide to turn off the narration, animation, or transitions. As you can see, there are many advantages and potential applications of the Record Presentation feature for building webinars. Since a primary goal in creating presentations is to share your message with as wide an audience as possible, understanding helpful features like this can help expand your reach and influence right from your own desktop or mobile device.